… is that you get to take pictures like this on your way to work. This entry was posted in Itinerancy observations on September 30, 2011 by Espen. This entry was posted in Technology strategy on September 20, 2011 by Espen. This report describes and analyzes the Norwegian IT industry, focusing on two categories of companies: Those that provide information technology as a product largely developed by themselves, and those that provide information technology services – mostly by taking foreign technology and making it available to Norwegian companies and organizations. Contrary to Norway’s classic knowledge hubs – petroleum, maritime, seafood – the Norwegian IT industry, though large, profitable, and knowledge-based, does not see itself as a hub and does not act like one. 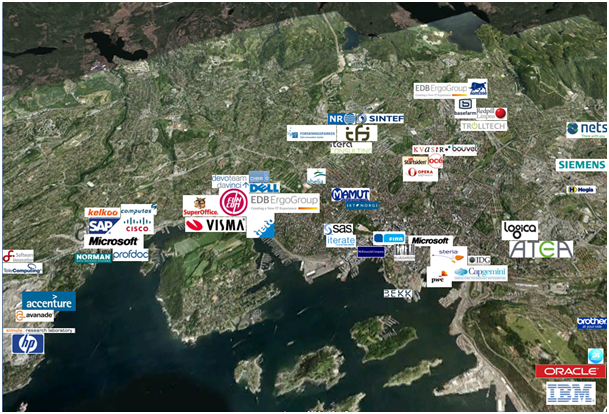 With a few exceptions (Horten, Trondheim) the Norwegian IT industry is overwhelmingly located in the Oslo area: Along Akerselven, in the City centre, at Skøyen, Lysaker and Fornebu. Few Norwegian IT companies paint on a global canvas, and those that do tend to be acquired by large international companies when they reach a certain size or maturity – growing out of Norway, as it were. In some cases, the companies continue and thrive in place, usually when they address a very specific global (GE Vingmed) or local (Visma) need, in others, they gradually disappear, subsumed into the acquiring organization (FAST into Microsoft development center Norway, Tandberg becoming a unit of Cisco, Trolltech becoming a part of Nokia and then sold to a Finnish software company). The IT industry’s main contribution to Norwegian society comes in two flavors: Firstly, it provides a group of companies (the large IT service providers and consultancies) with a body of knowledge on how to develop and implement information technology in Norway, increasing the country’s productivity through smart use of administrative and customer-facing systems. The relatively large size of the consulting industry and the extensive use of consultants both by the public sector and the larger companies ensures that the scarce knowledge of IT development and implementation both can be nurtured and rewarded as a core activity inside specialized organizations, and also makes sure that this knowledge is available in a more flexible form than the rather rigid hiring and firing practices of Norwegian working life. Secondly, the technology provided by the large, international technology providers, by the open source movement, and by administrative software providers ensures an available infrastructure for entrepreneurs in almost any industry: Few, if any, new startups today do not spend time on systems development as a major activity. Furthermore, extensive use of IT lowers the bar for starting new companies, both in terms of their relationship to the public sector, in their mobilization of resources, and in their access to markets. Thus, IT is, at the same time, a competitive arena and a coordination facilitator – an industry as well as an enzyme – in terms of increasing Norwegian innovative performance, productivity and competitiveness. Knowledge comes into the IT industry from three main sources: From foreign technology providers, from companies’ own development work, and from academic research in Norway. The latter transfer mechanism happens largely through the production of graduates from computer science and engineering programs – the single-most scarce factor in the industry, underscored by practically anyone interviewed. Academic research in itself, with a few, celebrated examples such as Simula (University of Oslo) and search technology (from NTNU), is not tightly integrated with the industry. Companies are often started by students from the engineering schools and computer science departments, but faculty involvement is largely missing – with a few important exceptions – after the companies are formed. This is partially because contributing to industry goes against the culture of many academics – the universities and colleges do not recruit faculty with entrepreneurship in mind – and partly because company-specific knowledge quickly outruns the more general academic knowledge as soon as development speeds up. The IT industry provides a general purpose technology (Basu and Fernald 2008), where value creation is more visible in the industries that use it than in the technology industry itself. The industry is largely located in Oslo, finances its R&D out of own funds or general tax refund programs, and does not to a large degree partake in more long-term research funding. It is an industry where everyone competes and collaborates – there are few, if any, long-term collaborative patters. The IT industry scores relatively low on several cluster dimensions, in particular knowledge dynamics. The industry needs to raise its profile in order to do better recruitment and increase its chances to enhance value creation, by jointly documenting and exemplifying how it creates value in the Norwegian society. In order to attract talent outside the traditional male, engineering-oriented candidate pool, the industry would benefit from trying to portray itself as urban, cool and interesting – a career choice not just for the technically inclined but for the ambitious and culturally dexterous candidate. Lastly, the industry needs to address the thorny problem of improving productivity – in particular, decision making productivity – in the public sector, by collectively taking a more proactive stance not just on technology direction, but also recommend actions to increase organizational efficiency and goal effectiveness. Public IT policy can be divided into policies directed towards the industry, and policies directed towards the use of information technology in public administration and public service companies. Policies towards the IT industry have been characterized by a quite fruitful neglect: The industry has not (despite entreaties from its interest organizations) been offered much help, nor had many restrictions from the government. This is not necessarily a problem – the industry does not need much public help, since it is used to continual technology-driven change and regularly transforms itself. respond to relatively short-term political interests such as focus on particular technologies or geographical distribution. The biggest opportunity for value creation with IT in Norway lies in increasing the productivity in public administration and service provisioning. Procedures and structures are still modeled on paper as a medium and geographical distance as a hindrance. While strides have been made in improving the interface between the public and the government, much remains to be done in the back office. Norway’s challenge is to convert the enthusiasm with which the population adopts new technologies into an equally strong enthusiasm for government and business to adopt their processes and services to the new technology. Let the final recommendation for the government then be that a post of Minister of IT is created, empowered to reorganize, automate and digitize all aspects of public service provisioning, with a goal of making life better for every citizen and with the added benefit of enabling Norwegian IT companies to export the resulting knowledge and technology to countries less blessed with a strong economy and a technologically enthusiastic population. This entry was posted in Academically speaking, Notes from a small country, The thoughtful manager on September 7, 2011 by Espen. 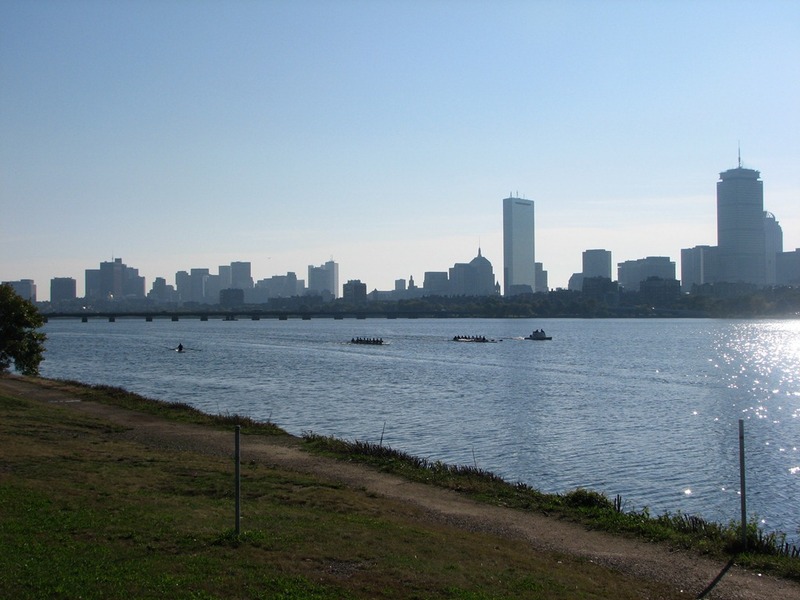 And just like that, I have moved across the Atlantic to Boston, where I will be for the next year. There are two reasons for this: First, daughter #3 – a bona fide US citizen who moved to Norway as a two-year old – wanted to spend her middle high school year in the United States. She did not want to go with one of the standard exchange programs, because with those you cannot choose where in the US you will be (which essentially means you will be somewhere in the mid-West.) Secondly, I was due for a sabbatical. 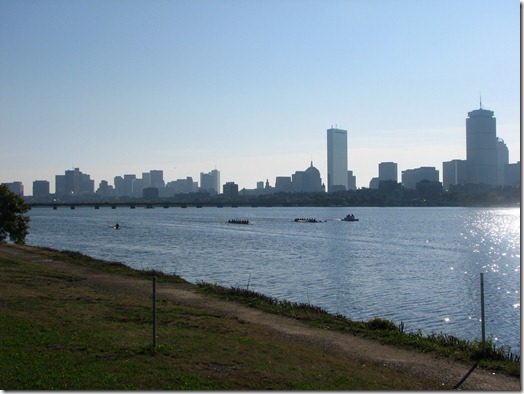 In both cases, Boston is a good place to be. So, daughter #3 is now at Brookline High School, and pater familias has infested MIT’s Center for Information Systems Research. This is a academic research group that in its structure and processes operates very much like CSC Index and Concours Group, companies I previously have worked for. In fact, CISR is in the same building as CSC Index used to be (five Cambridge Center, on , only three floors lower. It is very much deja vu – I have already had lunch at the Poppa & Goose truck (now called something else, but the food is the same.) The last week has been busy, getting a great apartment in Brookline (with good help from friends), buying an old (well, old by American standards) but great Mercedes station wagon for transportation, buying used bikes and doing the necessary runs to IKEA for what Douglas Coupland refers to as “semi-disposable Swedish furniture. We even got a whiff of Hurricane Irene, with loss of power for 10 hours and many threes down in the neighborhood. The rest of the family, for various reasons, could not come with us, but visits are planned (the first one this week) and a long Christmas vacation already booked. 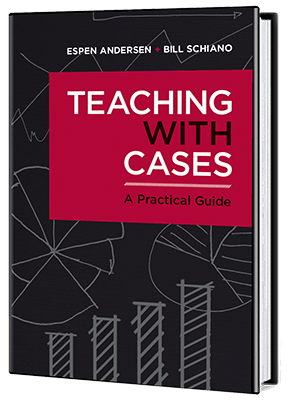 Despite having a sabbatical, I still need to go home to Oslo for the occasional executive course, but hopefully not too much – the whole point of a sabbatical is not to have to think about teaching and administration. Oh well. I see this year as a visit to an intellectual candy store – CISR cohabits with MIT Center for Digital Business, MIT Center for Computational Research in Economics and Management Science, and MIT Center for Collective Intelligence, just to mention some of the closest neighbors – a candy store where gorging does no harm but, indeed, is encouraged. This entry was posted in Up close and personal on September 7, 2011 by Espen.